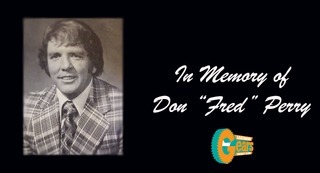 Saginaw, MI – The Saginaw Spirit defeat the Erie Otters, 6-2 Saturday evening on Art Lewis Night at The Dow Event Center in Saginaw, MI. Saginaw honored long-time public address announcer and radio show host Art Lewis before the game. The Spirit finish the season series perfect against the Otters after they beat Erie in the first three games. Six different Saginaw players scored goals in the victory, sparked by Florida Panthers 2017 first round pick Owen Tippett’s early breakaway tally. Arizona Coyotes prospect Ivan Prosvetov made 28 saves in the victory. Prosvetov has now won 10 of his last 11 starts with a .931 save percentage during the streak. Prosvetov made several big saves early in the first period to keep Erie scoreless. Erie right-winger Brendan Hoffmann was sprung on a breakaway after a turnover at the Otters’ blueline. The Erie rookie took a wrist shot from the top of the right circle that was denied by the Saginaw goaltender’s chest. For the eighth consecutive game, the Saginaw Spirit opened the scoring with 10:39 remaining in the first period. With a great 120-foot pass from Jackson, Michigan native Blade Jenkins, Florida Panthers prospect Owen Tippett came into the Otters end on a breakaway. The 2017 Panthers 10th overall pick took a wrist shot from the top of the slot that beat Erie goaltender Daniel Murphy under the blocker. Saginaw leading scorer Cole Coskey added to his stellar season with his team-leading 24th goal of the season with 6:29 remaining in the period. Edmonton Oilers prospect Ryan McLeod sent a cross ice pass from the right corner over for Coskey to one-time from the left faceoff dot. The Zion, Illinois native passed Jimmy Lodge for 13th all-time in points as a Spirit with the goal. 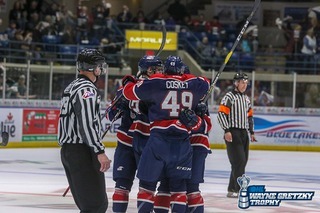 McLeod, a second-round pick of the Edmonton Oilers, has points in all six games since the Spirit acquired the center from Mississauga. The Mississauga, Ontario native extended his point streak to 11 games overall with the assist. Overager Reagan O’Grady gave the Spirit a 3-0 lead just 1:25 after the Coskey goal. After a nice drop pass from Saginaw first round pick Cole Perfetti, O’Grady took a wrist shot from the top of the face-off circle that beat the goalie Murphy. Saginaw out shot Erie, 17-10 in the first frame and took the three-goal lead into the first intermission. Midway through the second period, Saginaw took a four-goal lead with a great give-and-go play by Jake Goldowski and Dexter, Michigan native D.J. Busdeker. Goldowski dropped the puck to Busdeker at the left face-off dot, who sent a pass to the right of the Erie goaltender for Goldowski to tip into the net. With Spirit defenseman Justin Murray in the penalty box, Saginaw captain Damien Giroux extended the Spirit lead with a shorthanded goal. After Detroit Red Wings prospect Reilly Webb cleared the puck down the ice, Giroux hustled down the ice and took the puck away from an Erie defenseman behind the goal. The Minnesota Wild prospect patiently stick handled the puck around to the front of the net and deked to the backhand to beat the goalie. Erie spoiled Prosvetov’s shutout bid with just 16 seconds remaining in the second intermission on the power play. Danial Singer found the back of the net with a perfect wrist shot from the left face-off dot over the Russian goaltender’s right shoulder. Saginaw regained the five-goal lead early in the third period with Danny Katic’s sixth goal of the season. Goldowski sprinted into the Erie zone on a breakaway that Murphy broke up with a diving poke check. Katic came up with the puck in the slot and sent a backhand shot into the open Otters goal. Daniel D’Amato notched Erie’s second goal of the game with just under seven minutes remaining in regulation. D’Amato tipped Marcus Gillard’s shot from the point that was denied by Prosvetov. D’Amato got his own rebound and sent the puck into the Spirit goal. The Spirit outshot the Otters, 48-30 in the game. The Spirit finish the three-game home stand Sunday, January 20 against the West Division rival Windsor Spitfires for Health Alliance Plan Night at The Dow Event Center. Fans will be able to visit with the Teenage Mutant Ninja Turtles presented by Fairytale Entertainment in the Budweiser Red Room beginning at 4:00 p.m. 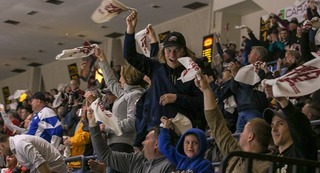 The first 1,000 fans will receive a HAP knit hat giveaway upon entering the arena. 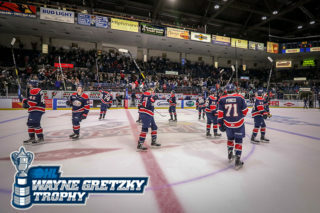 Following the game, fans will have the opportunity to skate with the Saginaw Spirit players, Sunday’s game will be the last post-game skate of the season. 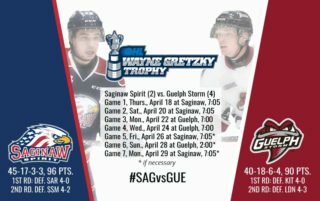 The Spirit are 2-0-0-1 in the last three games against the Spitfires after Saginaw dropped the first three games of the season. Puck drop for the seventh meeting of the season between the West Division foes is set for 7:05 p.m.
You can follow the game on FM Talk and Sports 100.5 or fmtalk1005.com with Joey Battaino and Dennis Desrosiers on the call. 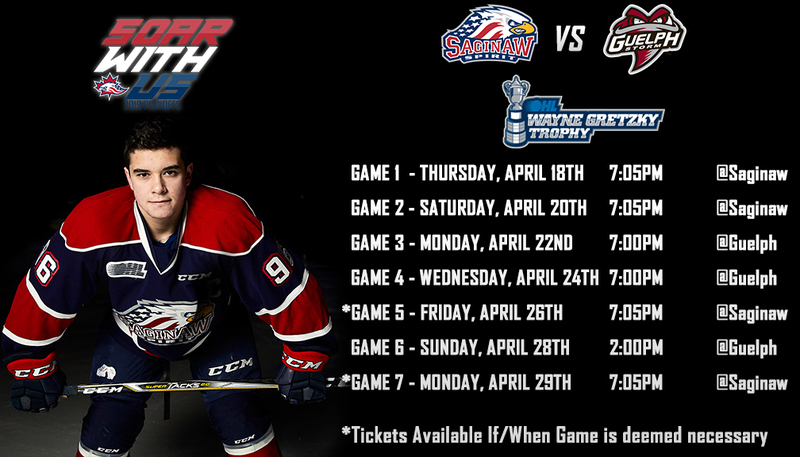 Pre-game coverage beginning at 6:50 p.m. with the Host of Saginaw Spirit hockey Domenic Papa.